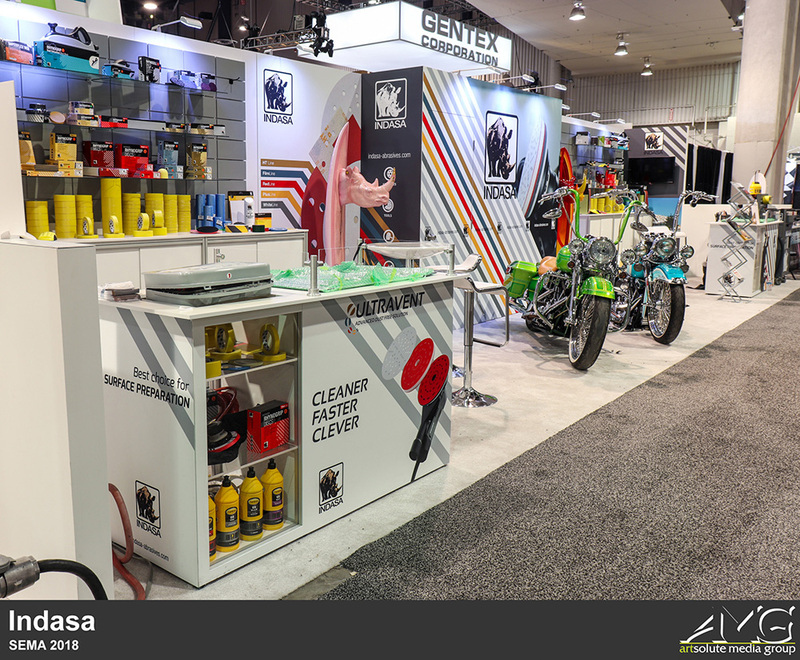 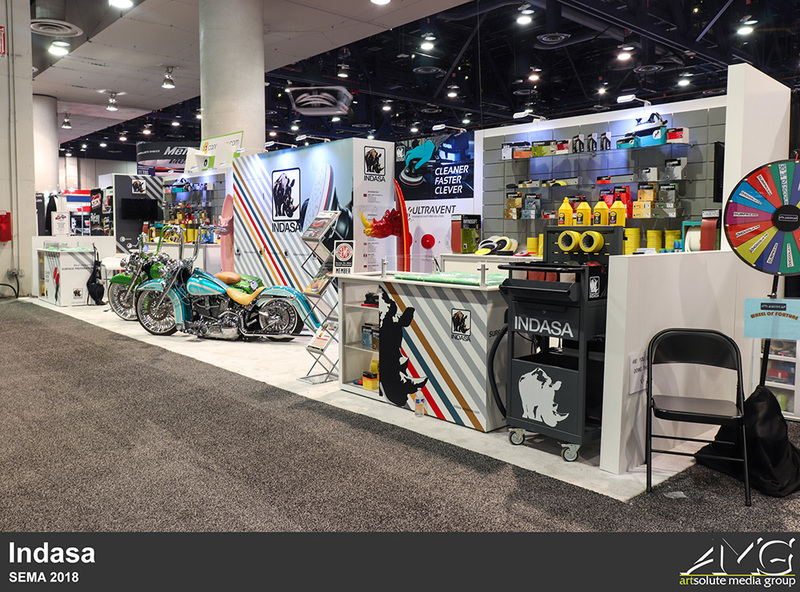 For this year's SEMA show, Indasa decided to switch things up and go with an inline exhibit instead of an island exhibit, which is what they used last year. 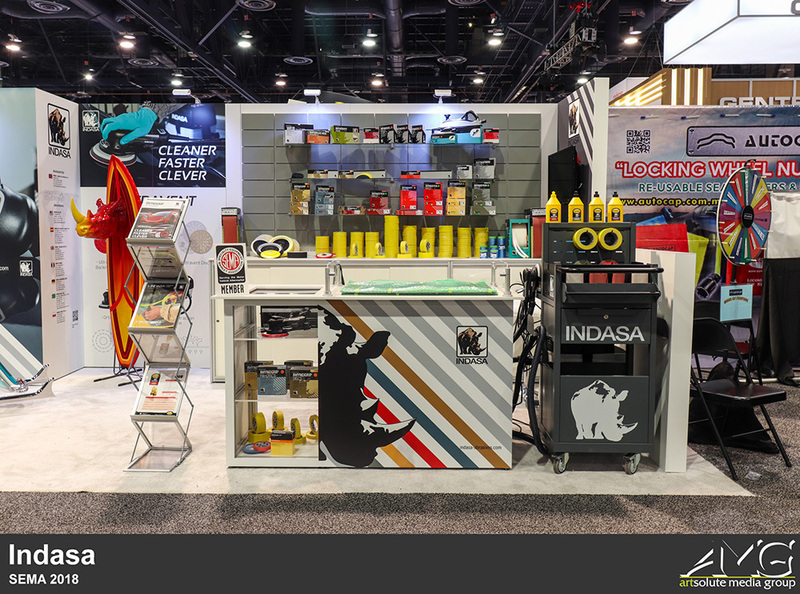 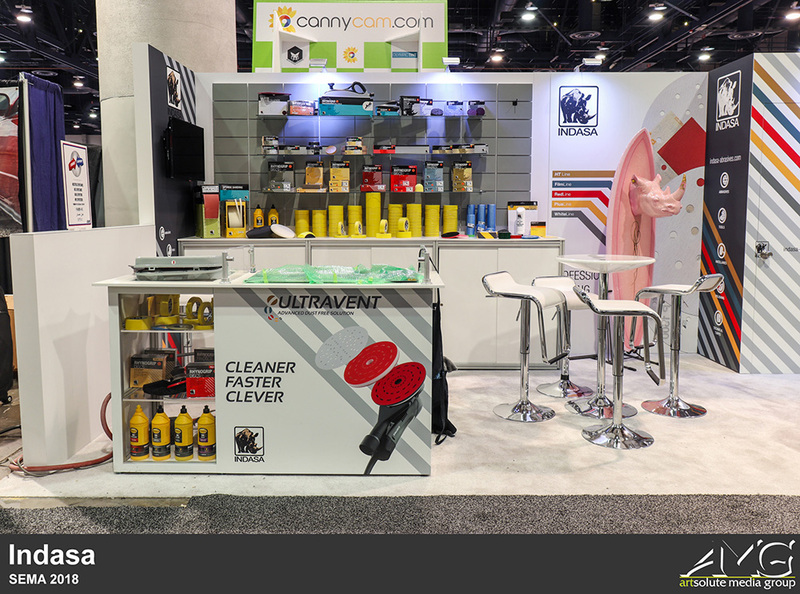 This decision reduces their total surface area by quite a bit, so it was our job to create a design that would be able to include all of their product displays without having the booth space feel cluttered. 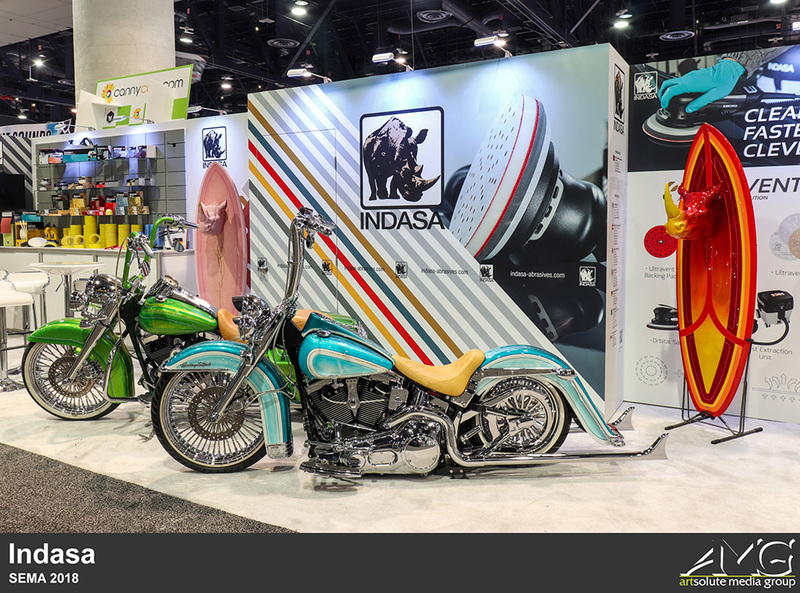 The exhibit included two custom made surfboards, two motorcycles, and two demo stations. 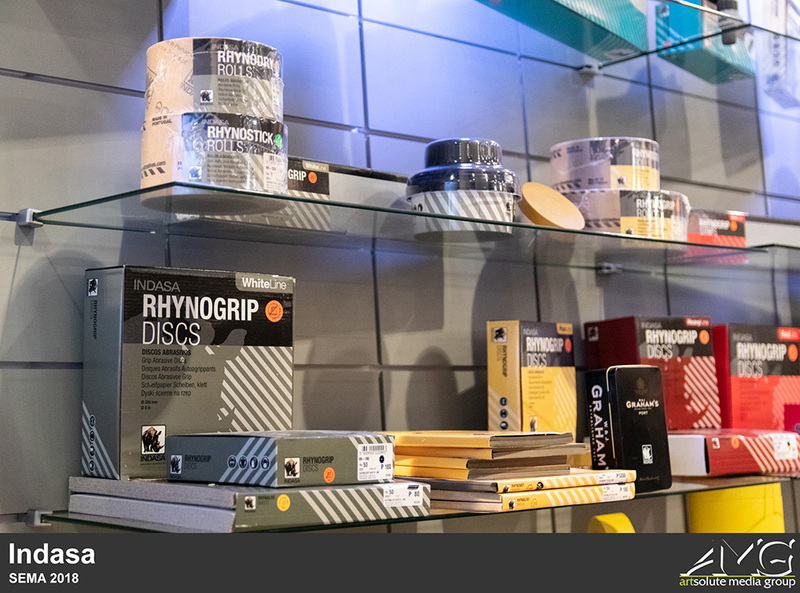 We also implemented two sets of Qlevo slattiles into their exhibit to display their products. 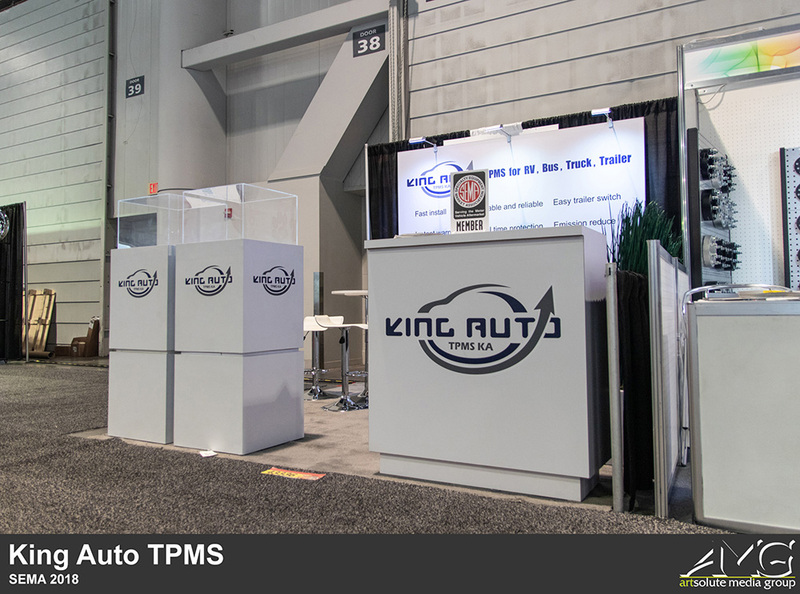 King Auto wanted something very simple and straight forward for their exhibit space. 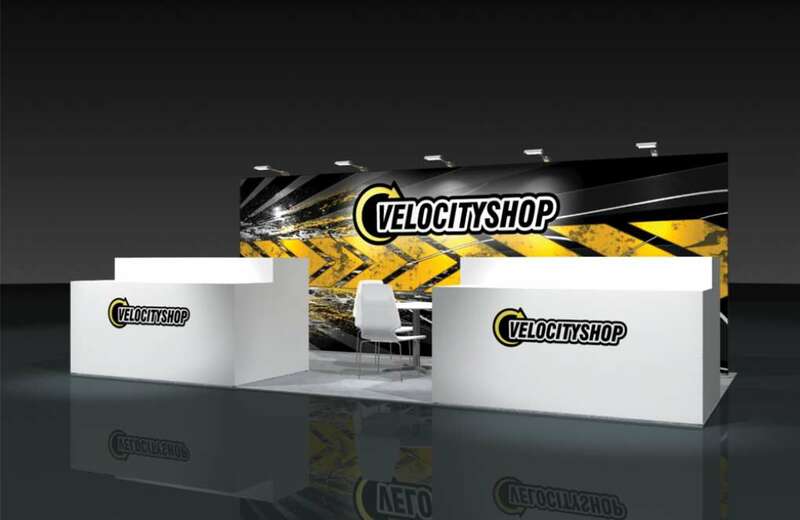 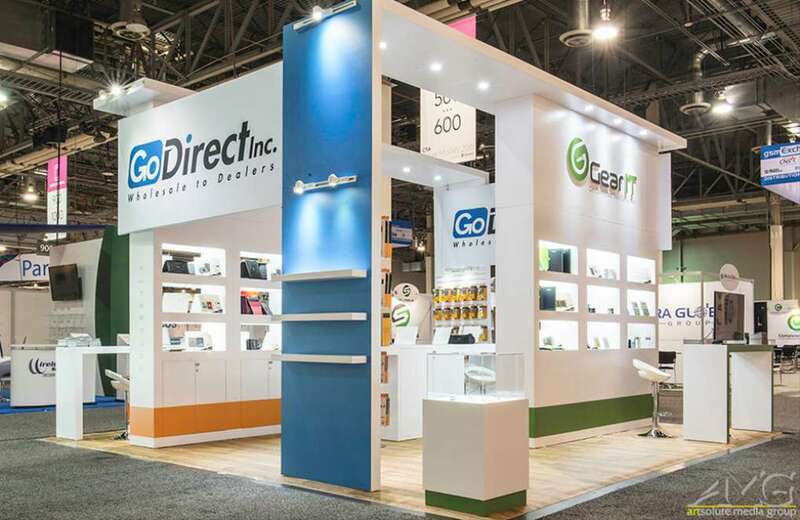 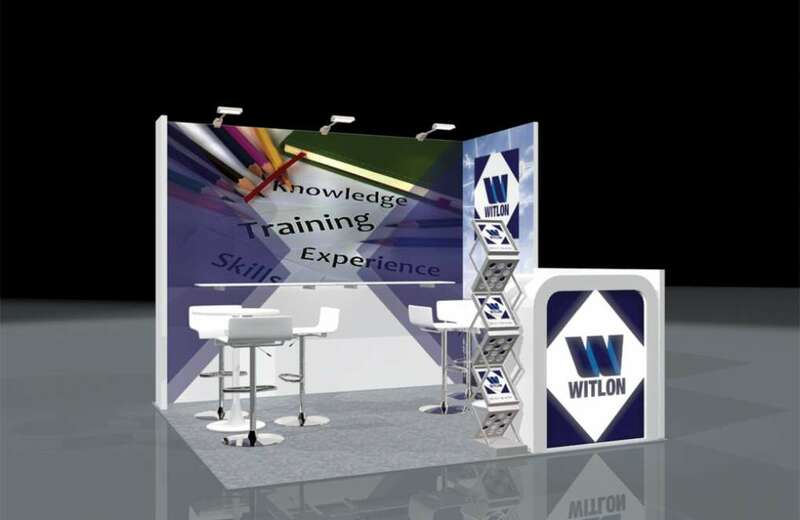 We made sure to include all the components necessary for a trade show into their booth, which includes a backwall graphic, some podium display cases, an information counter, and some seating areas. 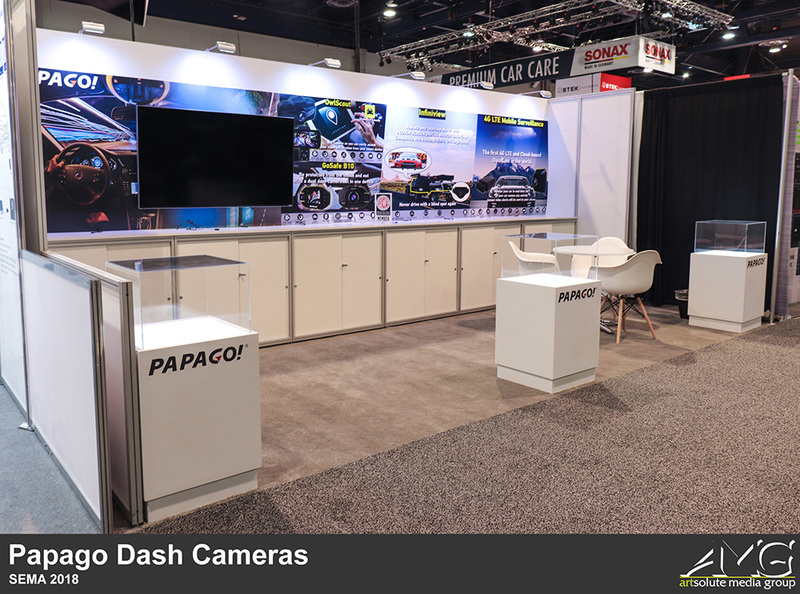 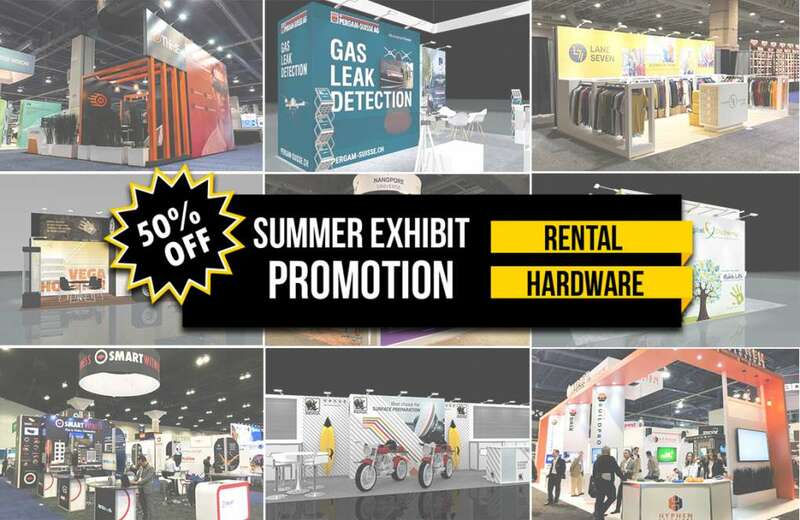 As a company that manufactures dashboard cameras, it was important for Papago's exhibit to showcase examples of their product in action. 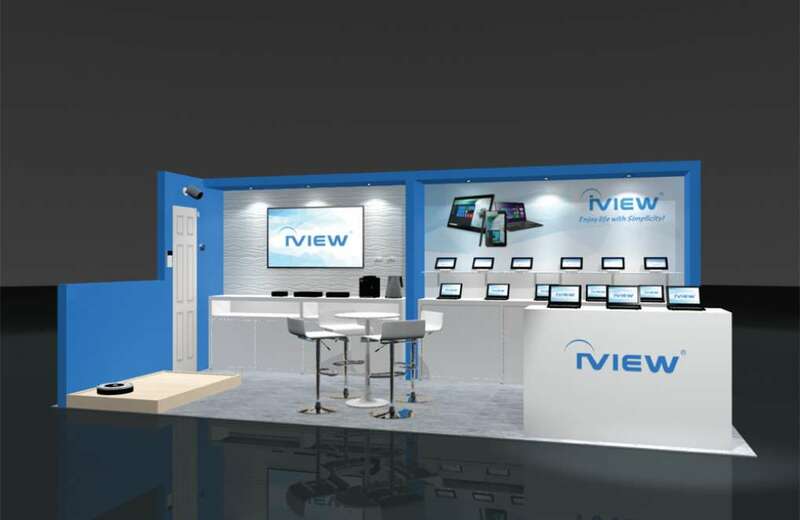 As such, a TV was mounted onto the backwall in order to show footage that the company has gathered from its customers who have used it before. 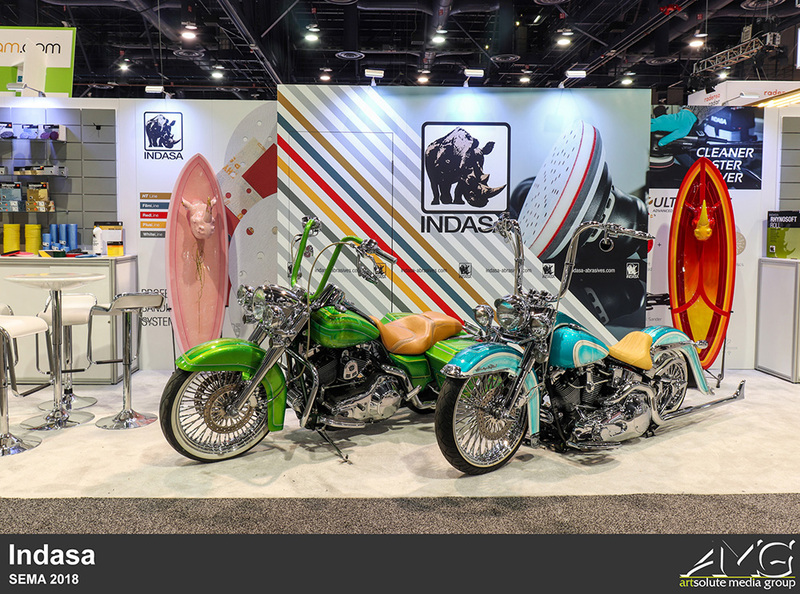 The rest of the backwall was decorated with colorful graphics and imagery that gives more information about their products in detail. 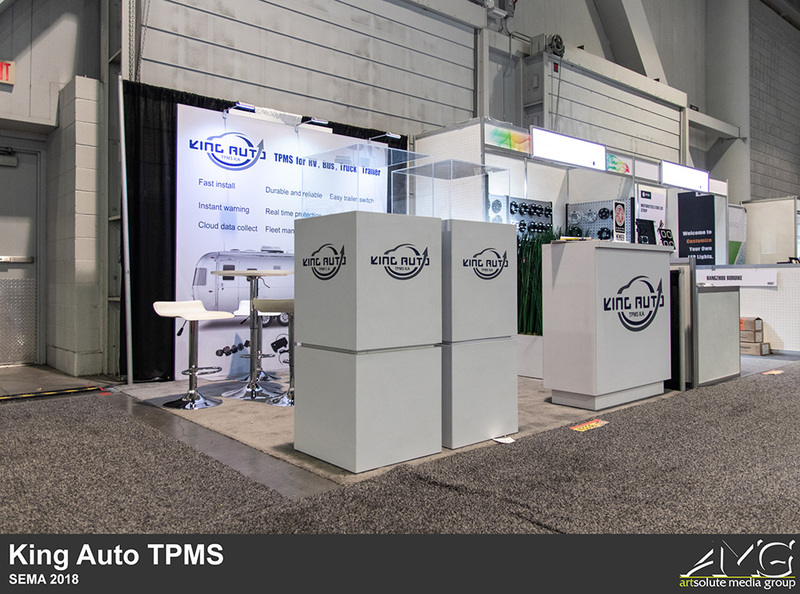 Lastly, three podium display cases are stationed at the very front of the exhibit to show off their best-sellers.